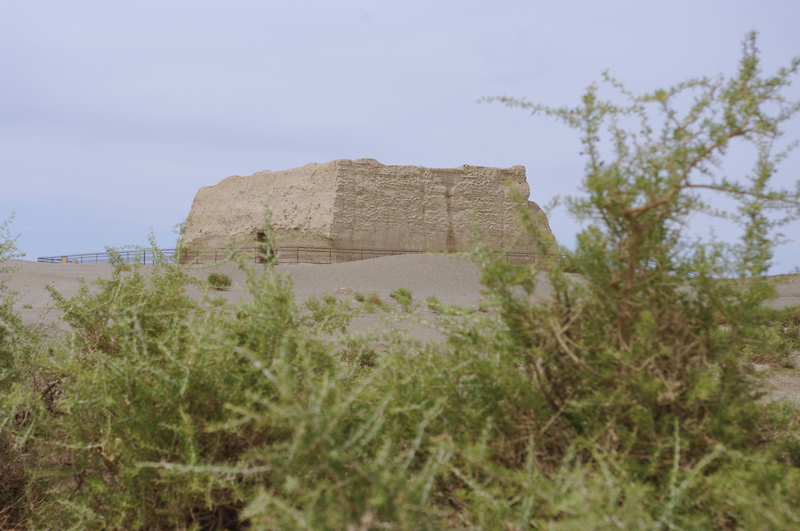 Hidden deep within the Gobi Desert, approximately 20 kilometres (12 mi) from Yumen Pass and 60 kilometres (37 mi) from Dunhuang, the 2,000-year-old remains of Hecang Fortress were designed never to be found. Its north and south are shielded by tall sand dunes, while the nearby Shule River once supplied it with water in this otherwise barren territory. Only when you are close enough does the fortress suddenly appear from behind the mounds of sand. 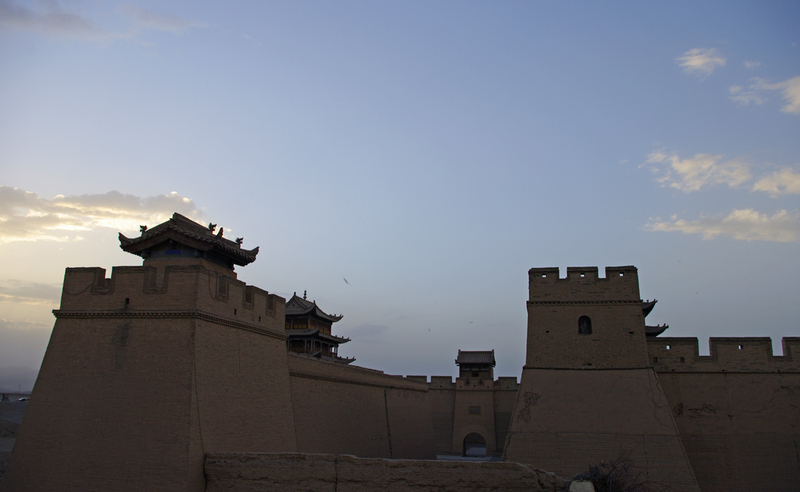 In ancient times, this secrecy was necessary, as Hecang Fortress served as a military warehouse from the Han Dynasty (206 BC–220 AD) onwards. It was a vital lifeline for soldiers working tirelessly along the Great Wall to keep China safe from invasion, and thus it was a major target for the country’s military opponents. 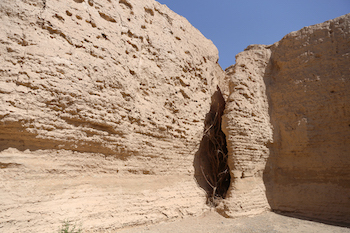 From 104 BC right through until 420 AD, the former military warehouse was used to store grains, clothes, hay, military equipment, and a myriad of other supplies that were transported from nearby oasis towns. The fortress originally consisted of three depots that were divided by two earthen walls, which towered in at 43 metres (141 ft.) in height and stretched for over 130 metres (427 ft.) in length. At equal intervals, a myriad of triangular holes punctuate the walls and were originally designed to aerate the building in the arid desert heat. Nowadays the fortress is a popular tourist attraction in the area, although be forewarned: you should pack your own lunch, because you won’t find any delicious treats stored inside of its walls! Covering a colossal area of 22,900 square kilometres (8,842 sq. 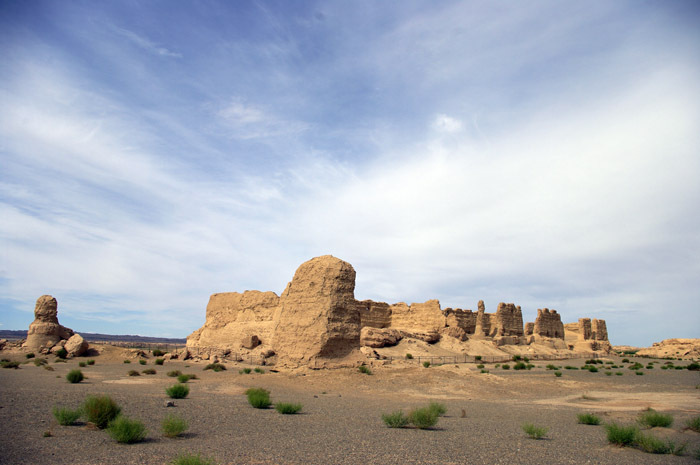 mi), the Kumtag Desert spans from Ruoqiang County in Xinjiang to the city of Dunhuang in Gansu province, and forms the eastern section of the much larger Taklamakan Desert. 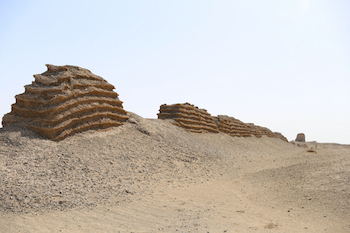 In the language of the Uyghur people, the word “kum-tag” means “sand-mountain” and refers to the looming dunes that populate this barren expanse. The desert itself was formed over a period of centuries, as a result of strong winds colliding and depositing the masses of sand they were carrying in unusual formations. Sand dunes within the desert can rise to heights of up to 76 metres (250 ft.), making them taller than the Leaning Tower of Pisa! While the region is resplendent with these natural monoliths, it’s also home to a number of magnificent sand statues that have been crafted by local artisans. Lifelike figures, towering fortresses, and miniature sand cities rise up in its barren expanse, creating a dazzling fairy-tale world. Riding camels through the baking hot desert, you’ll be transported back to life as a traveling merchant on the ancient Silk Road. 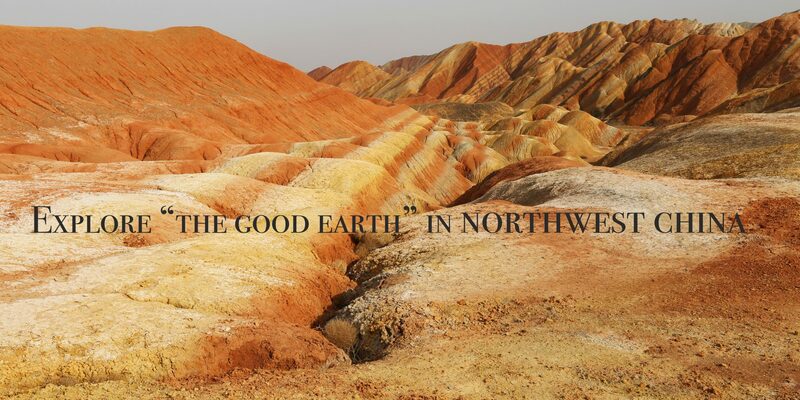 Flanked by the Qilian Mountains to the north and split by the Yellow River at its centre, Lanzhou is a city immersed in its natural surroundings. 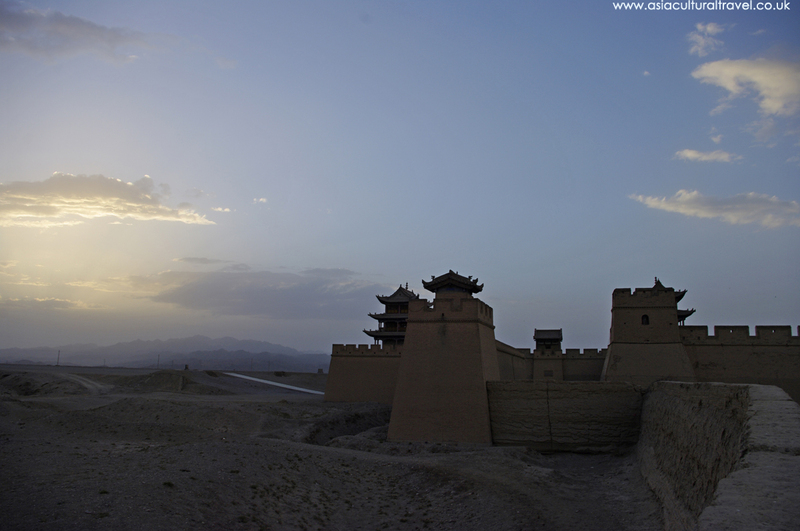 It is the provincial capital of Gansu province and historically was one of the major trading cities along the ancient Silk Road. 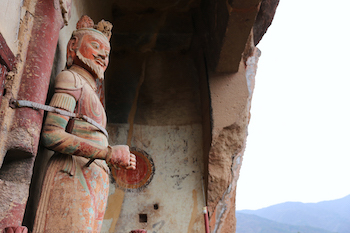 With the Maijishan Grottoes to its east, Bingling Temple Grottoes to its west, Labrang Monastery to its south, and Mogao Caves to its north, Lanzhou delivers magnificent historical attractions at every point of the compass! 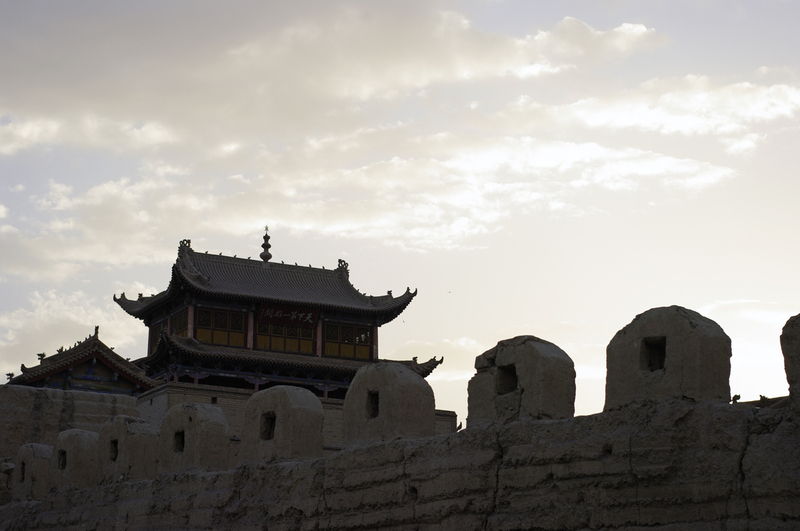 The city rests deep with the Hexi Corridor, which was a natural passageway that connected China with Central Asia and was thus an integral part of the Silk Road. 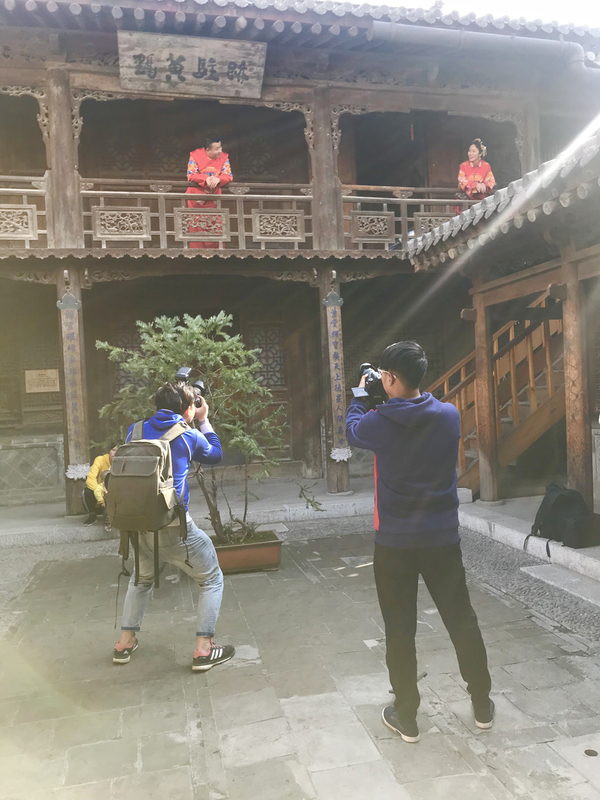 This corridor was flanked by the misty Qilian Mountains and Tibetan Plateau in the south and the Beishan Mountains and inhospitable Gobi Desert in the north, meaning trading caravans really only had one choice when it came to traveling into China. This made control of the Hexi Corridor invaluable, as whoever controlled this territory would also have power over one of the most important trade routes in world history. This meant that, like a prime piece of real estate, oases towns along the Hexi Corridor were hotly contested! The Lanzhou region originally belonged to the Western Qiang people, but became part of the State of Qin during the 6th century BC. 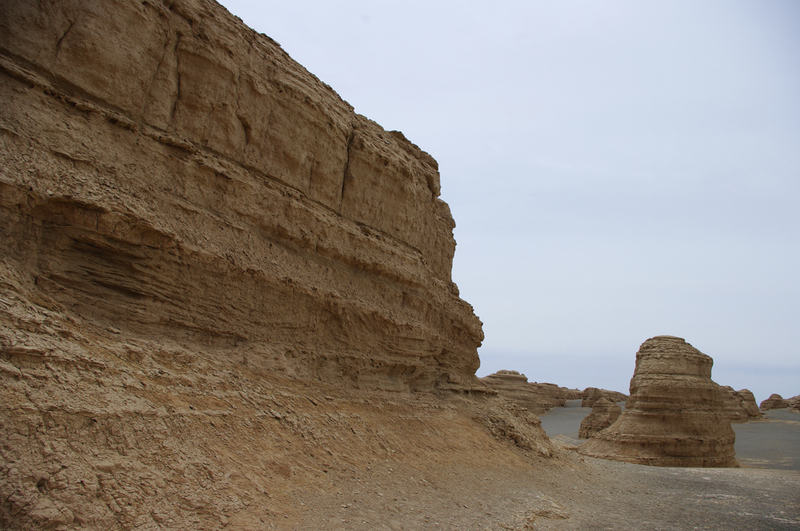 Under the Han Dynasty (206 BC–220 AD), it became one of the major links along the Silk Road and was also an important crossing point on the Yellow River. It was considered so valuable that it eventually earned the nickname the Golden City! The stunning Yumen Pass and Yang Pass, two of the last surviving earthen portions of the Great Wall, were erected during this time as part of a huge section of wall stretching along the northern frontier. This was designed by the Han court to help defend the Silk Road from northern invaders such as the Xiongnu people, and achieved relative success until the collapse of the Han Dynasty. Thereafter the region was passed around between several tribal states faster than a hot potato! 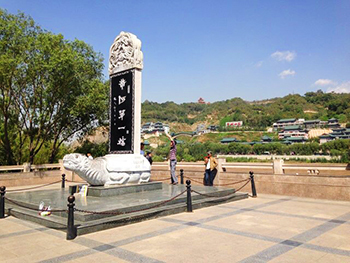 During the 4th century, Lanzhou briefly became the capital of the Former Liang Dynasty (320–376), until it was conquered by the Northern Wei Dynasty (386–535). 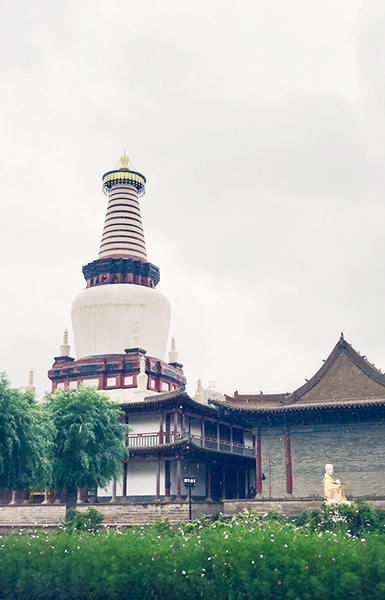 Under the guidance of the Northern Wei rulers, the city flourished as a centre for Buddhist study from the 5th right through until the 11th century. It was recaptured by Chinese forces during the Sui Dynasty (581-618), where it became the seat of Lanzhou prefecture, but during the Tang Dynasty (618-907) it was lost to the Tibetans in 763 and wasn’t recovered until 843. 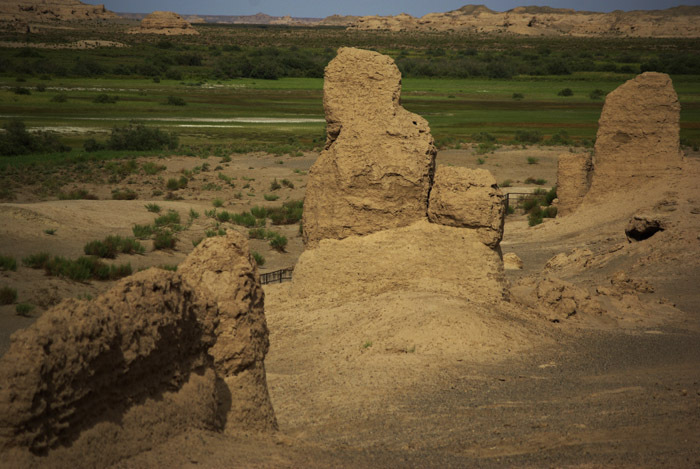 However this imperial control turned out to be just another brief flirtation, as it soon fell into the hands of the Tangut people, who established the Western Xia Dynasty (1038–1227). The Song Dynasty (960-1279) were able to take back the region and rename it Lanzhou in 1041, but it was once again lost in 1127 to the Jurchen people of the Jin Dynasty (1115–1234). 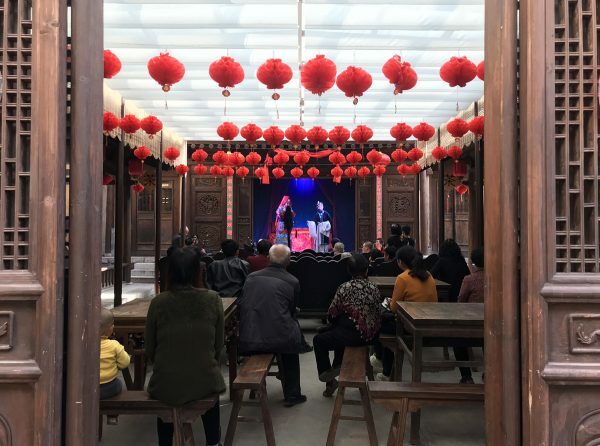 It seemed that, when it came to being held, Lanzhou was as slippery as an eel! It was finally incorporated into the Mongol Empire (1206–1368) in 1235 and remained part of China proper from the Mongol-led Yuan Dynasty (1271-1368) onwards. 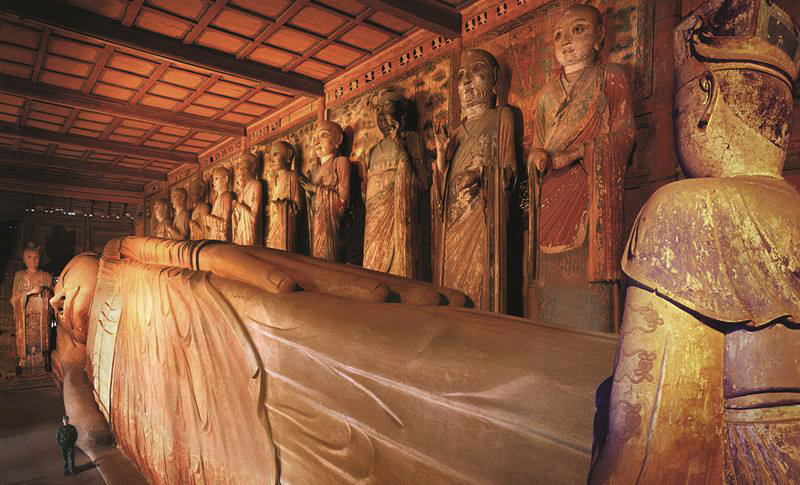 Evidence of the city’s illustrious history as a centre for Buddhism can be found just 80 kilometres (50 mi) to its southwest in the form of the Bingling Temple Grottoes or Thousand Buddha Caves. This sequence of caves was begun sometime during the 4th century and construction continued for approximately 1,000 years, yielding over 200 caves, 690 stone statues, 82 clay sculptures, and some 900 square metres (9,700 sq. ft.) of stunning murals. It’s a veritable treasure trove of ancient Buddhist art but its isolated location means that, unlike the Mogao Caves and the Maijishan Grottoes, it receives very little tourist traffic and makes for a peaceful day out. You may even come back from your trip a little more enlightened! 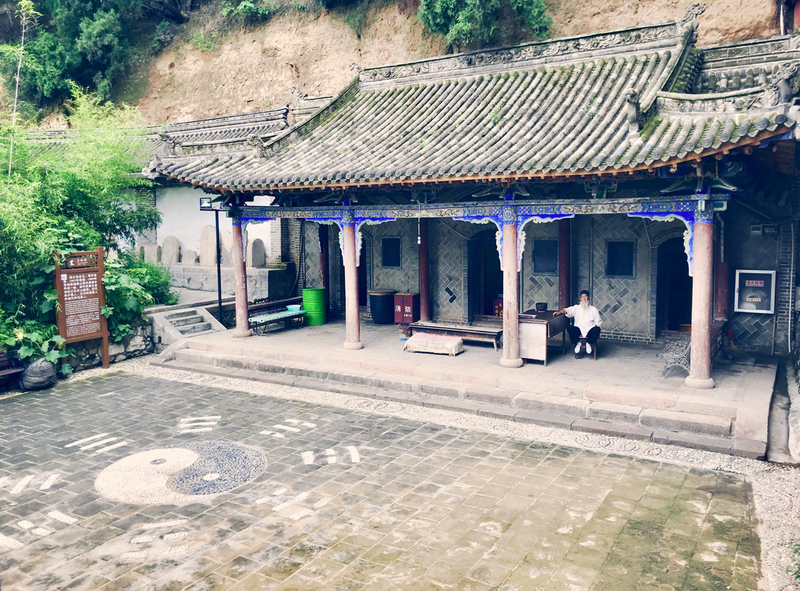 Other Buddhist relics to be found in the city include the temples at the Five Spring Mountain Park on the northern side of Gaolan Mountain. 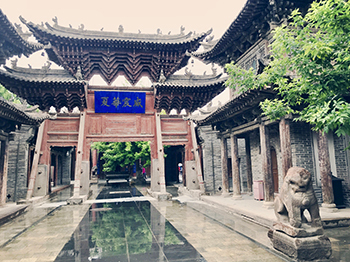 According to legend, a famous Han general named Huo Qubing once led his forces here, where they nearly collapsed from exhaustion and thirst. Without further ado, Huo whipped the ground five times with his trusty horsewhip and five springs appeared. 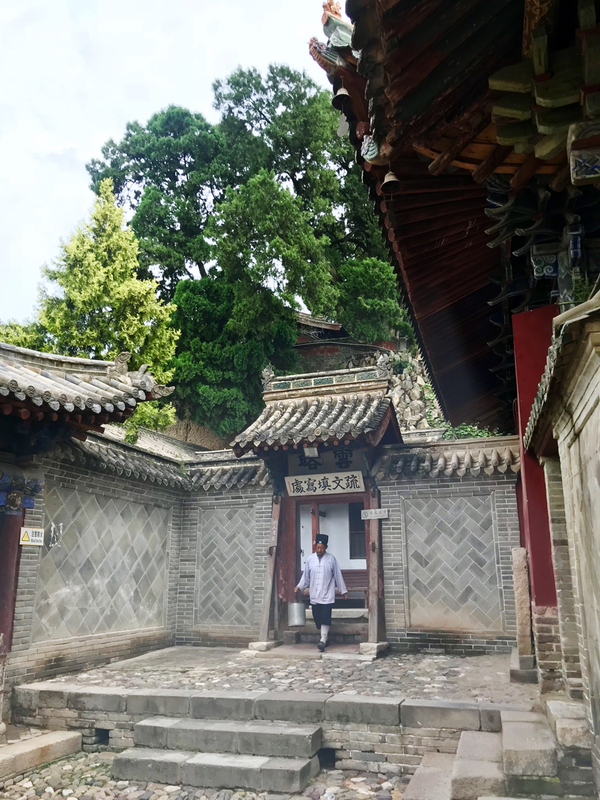 These springs can still be seen today and are dotted about amongst the numerous architectural sites, including the Butterfly Pavilion, Dizang Temple, and Wenchang Palace. And, if it’s historical architecture you’re after, then no trip to Lanzhou would be complete without a visit to Zhongshan Bridge. 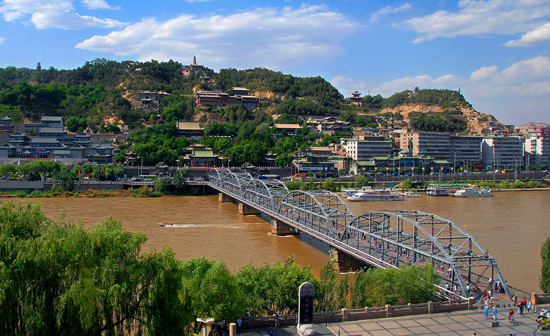 This was once the site of Zhen Yuan Floating Bridge, one of the many floating bridges that spanned the Yellow River. These bridges were formed by strapping over 20 ships together using ropes and chains. Now this may sound rather magical, but these bridges were notoriously unstable and were frequently destroyed by floods, resulting in the death of many people. That being said, like Rocky Balboa, it seems Zhen Yuan Bridge wasn’t going to retire without a fight! 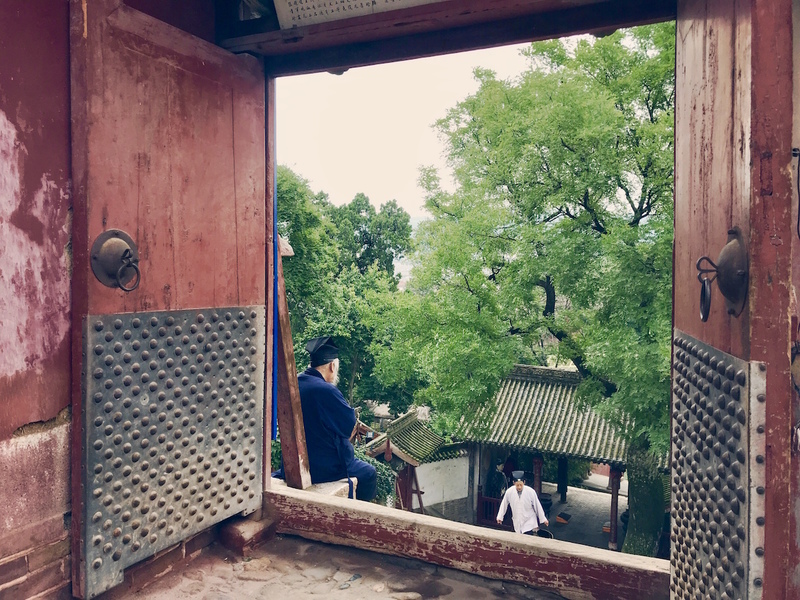 In spite of adversity, it managed to survive for a staggering 500 years before it was finally replaced in 1909 by the iron Zhongshan Bridge you see today.